I’ve only been to upstate New York once – and that wasn’t anywhere near Bethel. But I’ve recently found myself thinking about that part of the world and the event that, for me, really put Bethel on the map – the Woodstock music and art fair. It’s 48 years since almost 500,000 people converged on the area over four days from August 15, 1969. A pivotal moment for an entire generation, Woodstock produced sounds and images that may never be forgotten. 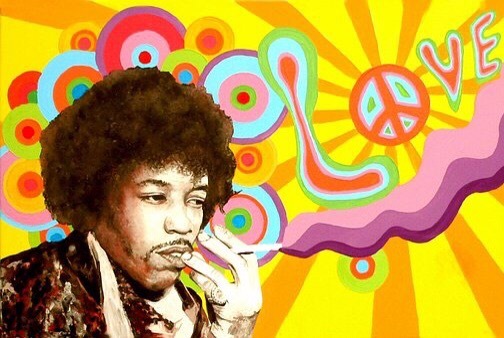 Much of the festival has entered into folklore: Jimi Hendrix playing guitar with his teeth on ‘Star Spangled Banner’; Joe Cocker nailing the Beatles song ‘With a Little Help from My Friends’; or Ten Years After booming through ‘I’m Going Home’. Scenes of the huge crowd chanting through a rainstorm, sliding in the mud and bathing in the dam have been published endlessly – and were part of an Academy Award winning documentary about the event. But, my favourite moment of Woodstock didn’t even feature a musican. It involved a crew-cut dairy farmer who is said to have supported the Vietnam War, but also believed in the right of free speech. The late Max Yasgur had allowed the festival to take place on his land at Bethel, when others had declined. “I’m a farmer. I don’t know how to speak to 20 people at a time, let alone a crowd like this. “But, I think you people have proven something to the world: half a million young people can get together and have three days of fun and music – and have nothing but fun and music – God bless you for it”. Over the years, I’ve read reports that Max Yasgur and his family also freely handed out every bit of water and milk they could when the Woodstock crowd swelled dramatically. This was a remarkable man indeed and, when he died in the early 1970’s, I was delighted to see him given a full-page obituary in Rolling Stone magazine – apparently one of the few non-musicians to have received such an honour. It seems that, although he may not have agreed with all the sentiments of the counterculture, he actively defended the right to express those sentiments. It seems that every so-called celebrity in the US has expressed an opinion on the Trump presidency. But, there was one glaring omission: it took quite a while for anyone to seek comment from one of the best known figures of Times Square – the busker who calls himself the ‘Naked Cowboy’. Robert Burck, a strapping guitar player known for busking in his briefs, 10-gallon hat and boots, often poses for photographs with tourists wandering around Trump Tower. New York friends tell me he has been doing his Naked Cowboy thing, regardless of the Big Apple’s weather, for about 18 years. In late 2015, an article on Time’s money.com website suggested that Burck made as much as $150,000 a year – mainly from tips and sponsorships. And, in 2010, this New York City icon and avowed conservative briefly flirted with the idea of running for president himself. All this considered, it’s about time the Naked Cowboy was asked for his views on the election. I was, therefore, delighted to see a recent article on the website of Business Insider Australia. “I have an affinity with Trump. I get him,” Burck is quoted as telling The New Yorker. “We’re both media promoters, media whores, whatever you want to call it. The Naked Cowboy apparently goes on to say that his wife is an illegal Mexican immigrant. “Maybe she’ll be the next to be deported, who knows? “I don’t think Trump would do that. But if he does, hey, that’s fate. Well, at least The New Yorker had the creativity to stray outside the usual predictable media formula of mainly interviewing other media. If you are in New York City, check out the Naked Cowboy daily at around lunchtime in Times Square, 45th and Broadway. You may even hear him singing his theme song – unsurprisingly called “I’m the Naked Cowboy’. He also has his own website. 5. The High Line elevated garden – West 34th Street, from 10th & 12th avenues. The main photo shows New York City’s Staten Island Ferry which carries 22 million people a year between St. George on Staten Island and Whitehall Street in lower Manhattan. The five mile, 25 minute ride provides a majestic view of New York Harbor and a no-hassle, even romantic, boat ride, for free! As a teenager in Australia in 1969, those words by folk singer, Arlo Guthrie, at Woodstock, really struck a chord. One day, I told myself, I’d see this throughway that literally became clogged by traffic headed for the legendary rock festival. 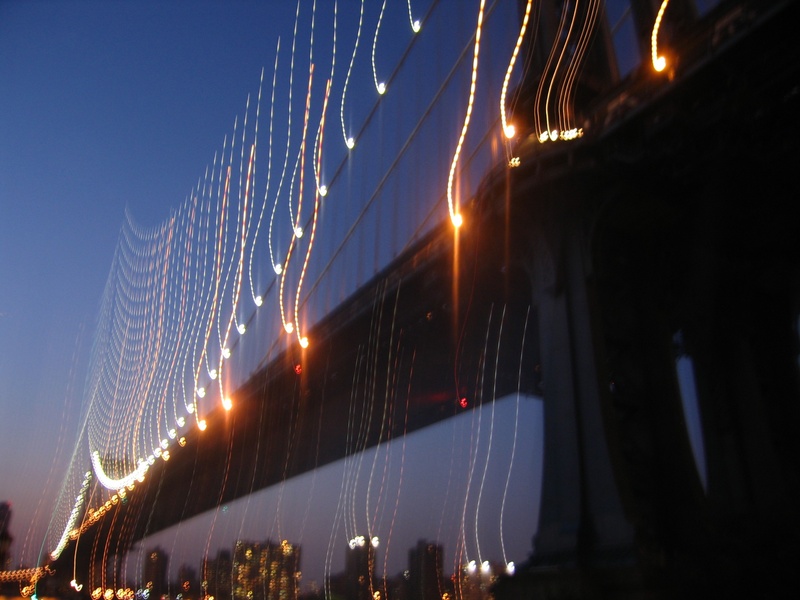 My opportunity came in recent years, when Sue and I passed the site of the Tappan Zee Bridge and its eventual replacement – known as ‘The new NY bridge’ – which is being built on the throughway near New York City’s northern suburbs. Promoted as possibly the biggest and most challenging bridge project in the US, it will be the widest on the planet, carrying at least 138,000 throughway vehicles a day across the Hudson River between Rockland County and Westchester. The project – said to cost about US$3.98 billion – includes two parallel, 3.1 mile bridges about 25 miles north of New York City. Although not scheduled for completion until 2018, the new bridge was already taking shape at the second widest point on the Hudson River. Most of the substructure work—which includes piles and pier columns—is finished. Construction continues with the ever-growing placement of steel-blue girders, road deck panels and stay cables on the iconic 419-foot main span towers. We were also keen to see the original crossing, an iconic cantilever structure that was apparently designed to last only about 50 years, but has been operating since about 1955. An Internet search revealed that the 3.1-mile Tappan Zee crossing was named by 17th century Dutch settlers. The Tappan was apparently a native American tribe that once lived in the area – and the word ‘zee’ means sea in Dutch. It’s been a long time since Woodstock, but I have ticked this one off my list. And, in seeing the New York State throughway, man, I also got to view a massive and eye-opening engineering and design feat. The best travel experiences are often the unexpected ones. For example, the ‘Freedom Tower’ is a ‘must see’ for visitors to New York City. Set amid the Financial District of Manhattan Island, the tower and its adjoining September 11 Memorial and Museum stand on the site of the former the World Trade Centre. 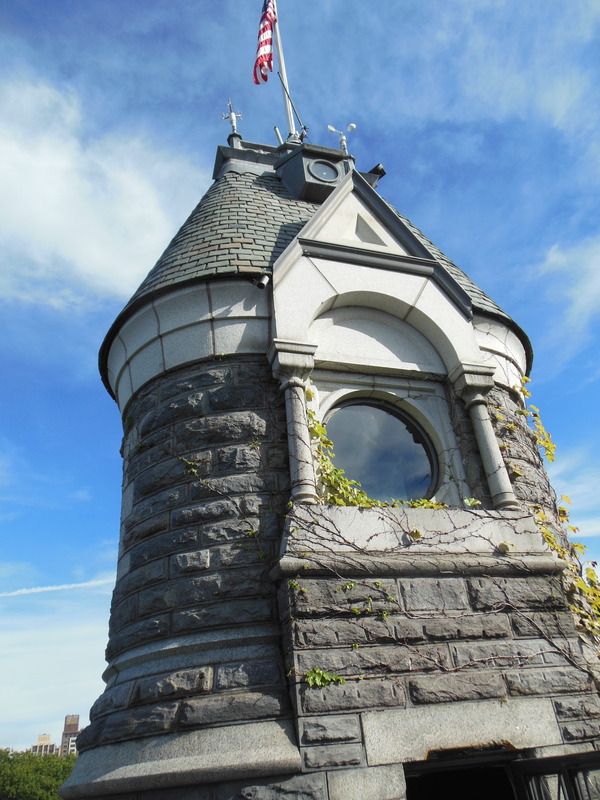 A striking view from all sides, the tower complex also contains an unexpected surprise. 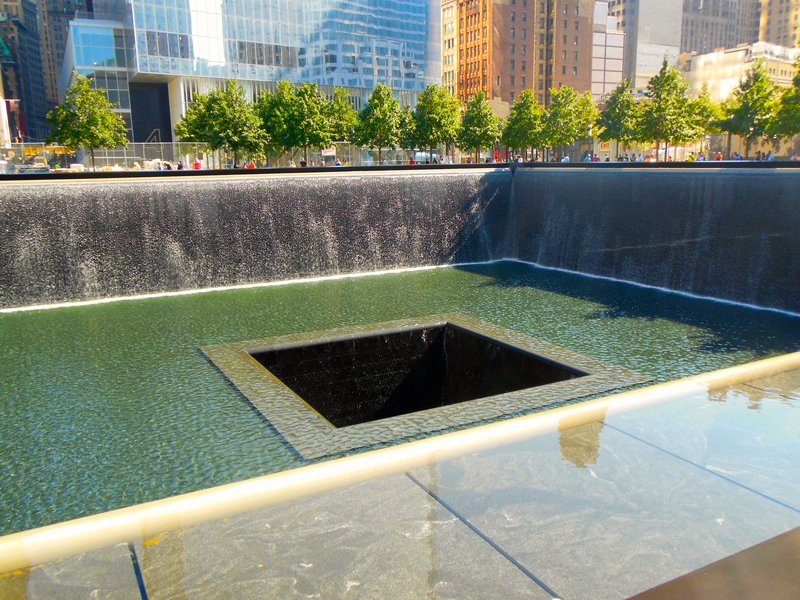 While visitors marvel at the cascading waters of the North and South memorial pools and silently read the names of the 2,983 people who died in the Twin Towers, it’s easy to overlook a humble pear tree standing nearby. Yet this pear means a lot to the Big Apple. Known as ‘The Survivor Tree’, the Callery Pear was pulled from the ruins of the World Trade Centre, where it had stood in the plaza area since the 1970’s. The tree trunk was charred and covered with ash, but it refused to go down – and was nursed back to health at a local nursery. After also surviving a massive storm in 2010, the pear tree was replanted in the grounds of the September 11 Memorial, as a living reminder of resilience, survival and rebirth. Since then, the tree – which is surrounded by more than 400 Oaks in the eight acre grounds of the memorial – increasingly has become an attraction in its own right – accepted as a living example of the ability to bounce back from trauma. With the aim of keeping the Survivor Tree alive for coming generations of visitors, officials at the memorial propagated the fruit of the pear into seedlings, which have now grown into saplings. 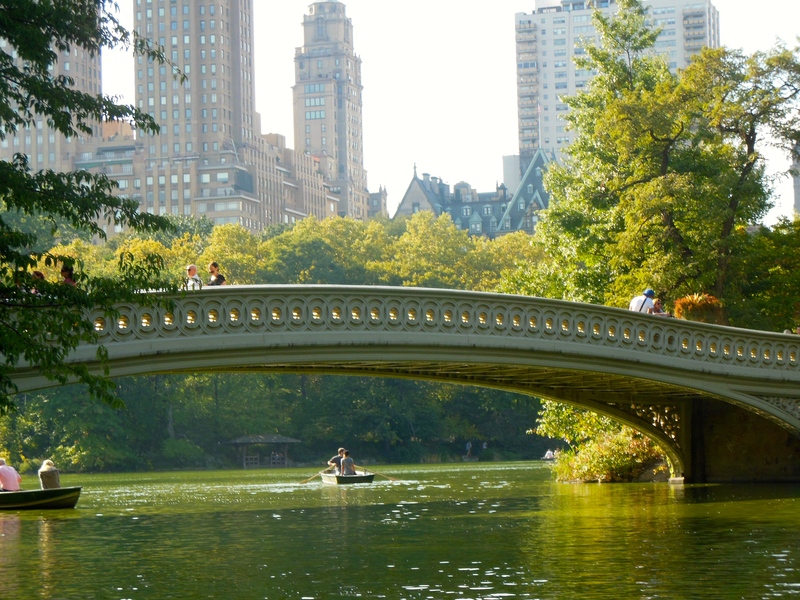 In years to come, a new generation of travellers may be able to visit the offspring of ‘The Survivor Tree’ standing in NYC’s Central Park or other prominent public places. 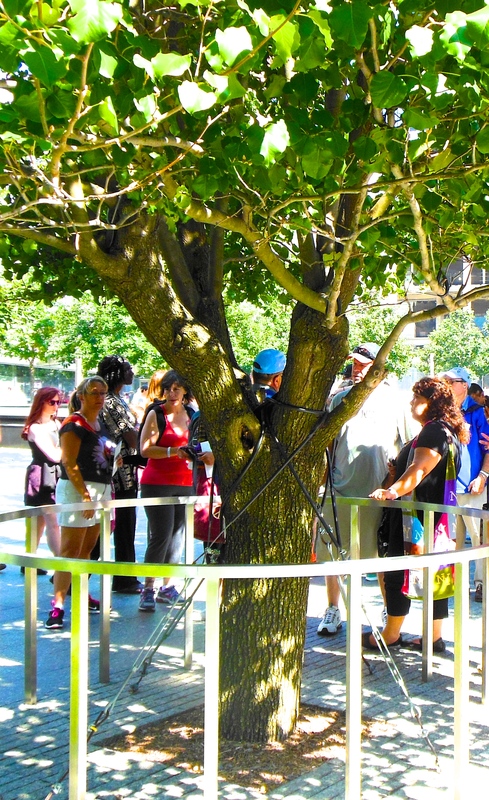 See directions for visiting the September 11 Memorial and don’t miss ‘The Survivor Tree’.